Anyhow, we are back. We are back with a challenge. A challenge which can refresh us to write something in English as a matter of learning. It’s OK. Do not be afraid to be wrong. We are all learning here. So, what is the topic for now? Have you checked our last post on English Essential? Yes, correct. It is about KISS (Keep It Simple, Sweetheart). 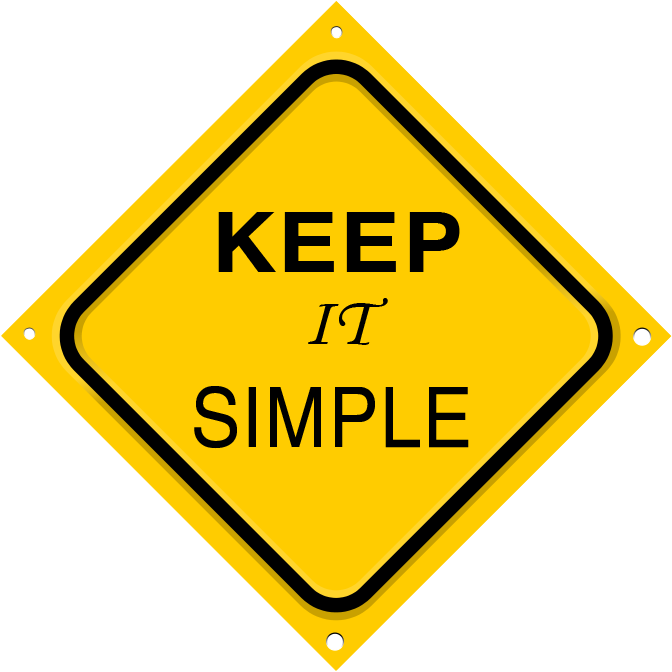 In accordance with that topic, please tell us on your blog post anything you can describe with word “simple”. It can be a simple thing but most important in your life. It can be a sorted list of simple daily tricks that you can share to the world. Or, you can just follow the discussion above about KISS by implementing the KISS theory on your post. It is up to you guys. Enjoy it and have a good time! Write your piece on your blog (any platform!) you can even use your Facebook Note!